Allies should seek United Nations approval to arm and train Libyan rebels, a former head of the UK armed forces said, as Muammar Gaddafi's forces pounded the city of Misrata with rocket fire. Lord Dannatt said that while the Nato-led air strikes had enjoyed some success, equipping the opposition to fight effectively was vital to prevent a vacuum forming that could be filled by extremists. And the ex-chief of the defence staff said the dictator's illegitimacy as leader had been firmly underlined by the apparent use of controversial cluster munitions against residential areas. Five civilians were killed on Saturday in a 30-minute barrage of shelling in Misrata - the only western city still in rebel hands - that damaged a dairy factory and sent up a column of black smoke. Frustration has grown among residents of the port, where Gaddafi's troops have stepped up their siege. One doctor hit out at Nato for failing to stop the deadly assault, saying: "We have not seen any protection of civilians. Nato air strikes are not enough and the proof is that there are civilians killed every day here." The criticism was echoed in rebel stronghold Benghazi, where rebel spokesman Abdel-Hafidh Ghoga said: "There's no more room for hesitation or for not standing with determination against what is happening in Misrata and other Libyan cities, because the destruction that Muammar Gaddafi is causing in Libyan cities is great and extensive." Tensions over the operation are high in the UK, with the Prime Minister facing calls for Parliament to be recalled over claims he and fellow leaders had overstepped the limits of the mission by advocating regime change. 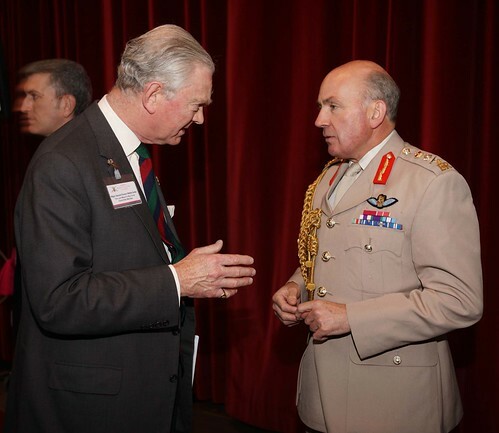 Referring to US President Barack Obama's admission that Libya had reached a stalemate, Lord Dannatt said: "We want to act within the law, within international agreement and therefore we should be arguing the case to not accept a stalemate, not to put our own boots on the ground, but to properly arm those boots that are on the ground. "They are Libyan boots. Let the Libyan people have the wherewithal to choose a new government for themselves," he told the BBC, warning that a stalemate would create a vacuum likely to be filled by extremists. "We have got to move this one on. I have thought about it long and hard: go back to New York, get a strengthened UN Security Council resolution and arm, equip and train the opposition." Press Association Ltd. 2010, All Rights Reserved.